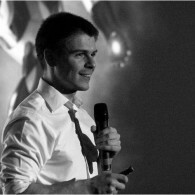 Lyubomir Yanchev is a Founder and CEO at MClimate (http://seemelissa.com/). He is one of the youngest and brightest entrepreneurs in Bulgaria and recently was named one of Darik National Radio 40 under 40. MClimate is an innovative IoT company offering smart climate control solutions. The company’s flagship product is a hardware device allowing users to control their air-conditioners (ACs) by a mobile application. The application learns users’ habits and allows users to control their ACs from anywhere minimizing AC electricity consumption by 25%. Melissa controls all brands and models of air conditioners with infrared remote control. Based in Bulgaria, MClimate already has traction on the local market. It has been selected as Top50 at Pioneers Challenge and Top15 at Startup Istanbul. The company has raised EUR 500K seed investment to continue with international expansion and develop new applications of the proprietary technology.